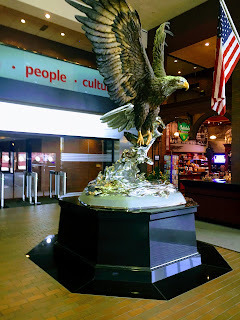 Today I started work at Anheuser-Busch. Sometimes it feels a little like working at a beer theme park. 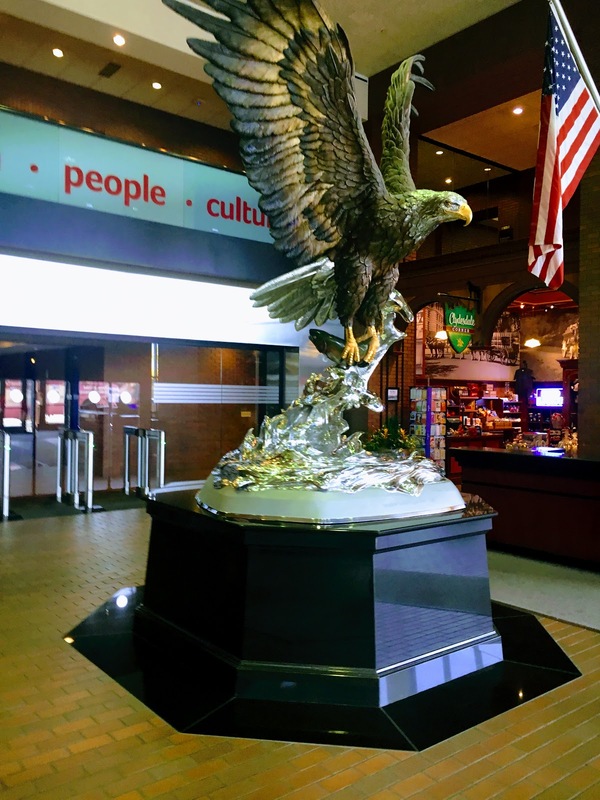 There's a massive eagle sculpture in the lobby. I'm on the seventh floor and there's a great view of the campus. I guess a few of the historical buildings are vacant. From up here you can see that some of the windows are missing. There's a bar for the employees on the same floor as all the meeting rooms. Unsurprisingly a lot of the meetings involve beer. Not buying everything in the gift shop is a daily struggle. My building has its own little gift shop in addition to the big one in the visitor's center. There a couple of kegs in the break room and a beer case that we can raid on Fridays. When I think of a complaint I'll be sure to let you know.